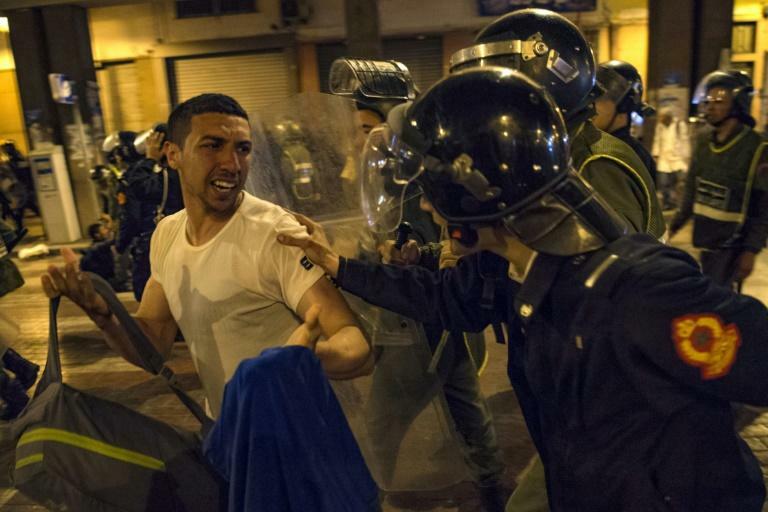 Thousands of teachers flooded the streets of the Moroccan capital on Sunday to demand better conditions after a nighttime protest dispersed by riot police left dozens wounded. 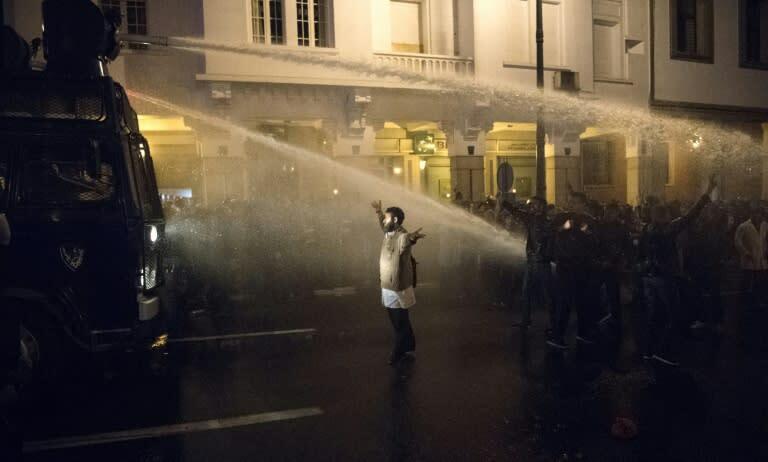 On Saturday night baton-wielding riot police used water cannons to disperse a protest by several thousand young teachers who marched peacefully in central Rabat chanting "freedom, dignity, social justice". Around 60 people were lightly wounded and taken to hospital, according to Othman Zeriouch, one of the organisers of the protest movement. On Sunday morning several thousand teachers were back on the streets of Rabat, chanting slogans such as "we must safeguard free education" and "teaching is not a commodity". They also demanded changes to current temporary contracts -- saying "the people want (their) abolition" -- in the protest which lasted several hours and followed a march to parliament. Teachers on temporary contracts enjoy the same salaries as their permanent colleagues -- 5,000 dirhams ($520) a month -- but unlike them do not have access to a pension fund and other benefits.